Jerash is one of the best preserved provincial Roman cities in the world with fortification walls, temples, baths, colonnaded streets, theatres, shops and sophisticated water works. The city still remains the living evidence of urban civilization spanning over a period of 9000 years including Hellenistic, Roman, Byzantine and early Islamic. Every year in July-August this city has kept the spirit of the Romans alive by celebrating the Jerash festival. Their legacy shines today during these months in forms of cultural programs, dance and singing performances etc. Ajloun is a beautiful castle that was built by the Muslims in 1184, it is a great example of medieval Arab and Islamic military architecture. 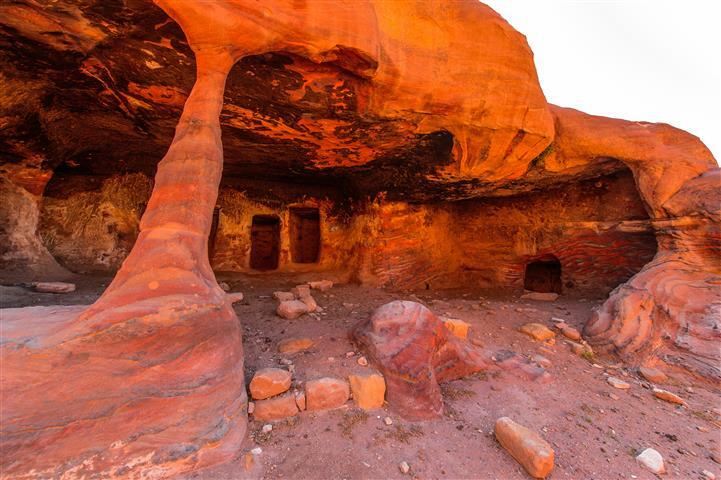 Mabada was once a Moabite frontier town which continued to remain inhabited during the Nabatean and Roman periods. Visit to the most famous landmark of the town, the Greek Orthodox church where the 6th century mosaic map of the Holy Land has been preserved in its original form. With 2 million pieces of colored stones and a full 25 x 5 meters in its original state, most of which can be still seen today. The map depicts hills, valleys, villages and towns as far as the Nile Delta. Mount Nebo is the most revered holy site in Jordan and a place of pilgrimage for Christians. Karak, an ancient Crusader stronghold. Karak sits 900m above sea level and lies inside the walls of the old city. 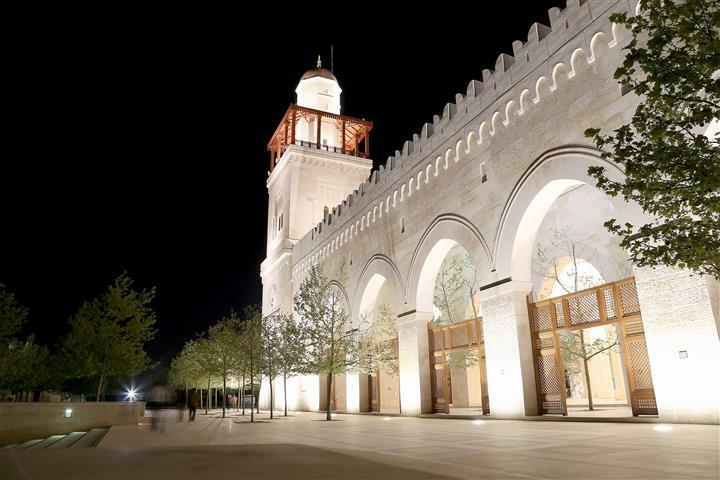 The city today is home to around 170,000 people and continues to boast a number of restored 19th century Ottoman buildings, restaurants, places to stay etc. The history of the place is dominated undoubtedly by the Karak Castle which is a dark maze of stone-vaulted halls and endless passageways. 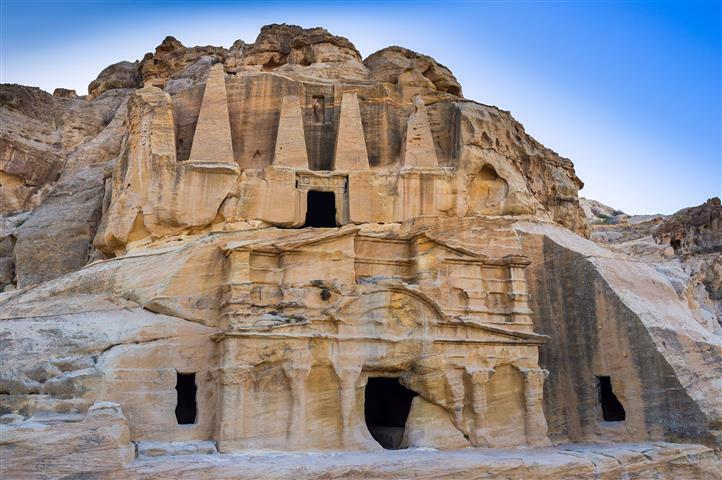 On the edge of the Arabian Desert, Petra was the glittering capital of the Nabatean empire of King Aretas IV (9 B.C. to 40 A.D.). Masters of water technology, the Nabataea’s provided their city with great tunnel constructions and water chambers. A theater, modeled on Greek-Roman prototypes, had space for an audience of 4,000. Today, the Palace Tombs of Petra, with the 42-meter-high Hellenistic temple facade on the El-Deir Monastery, are impressive examples of Middle Eastern culture. Wadi Rum is a protected area covering 720 square kilometers of dramatic desert wilderness in the south of Jordan. Huge mountains of sandstone and granite emerge, sheer-sided, from wide sandy valleys to reach heights of 1700 meters and more. Narrow canyons and fissures cut deep into the mountains and many conceal ancient rock drawings etched by the peoples of the desert over millennia . Bedouin tribes still live among the mountains of Wadi Rum and their large goat-hair tents are a special feature of the landscape. 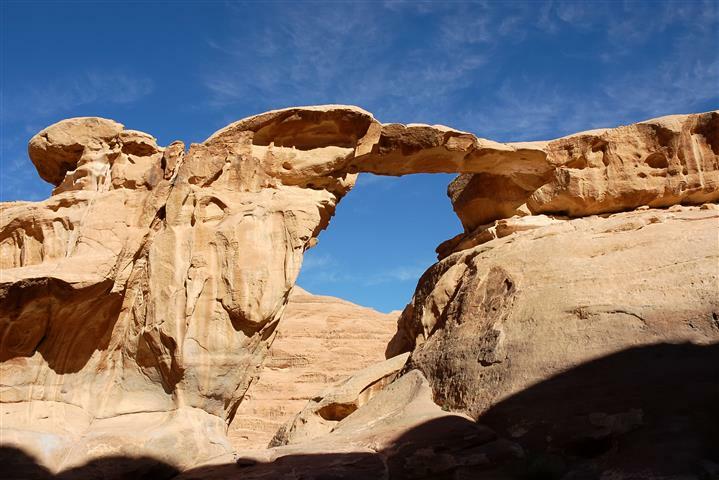 There are many ways to enjoy the attractions of Wadi Rum, including jeep, camel and hiking tours. 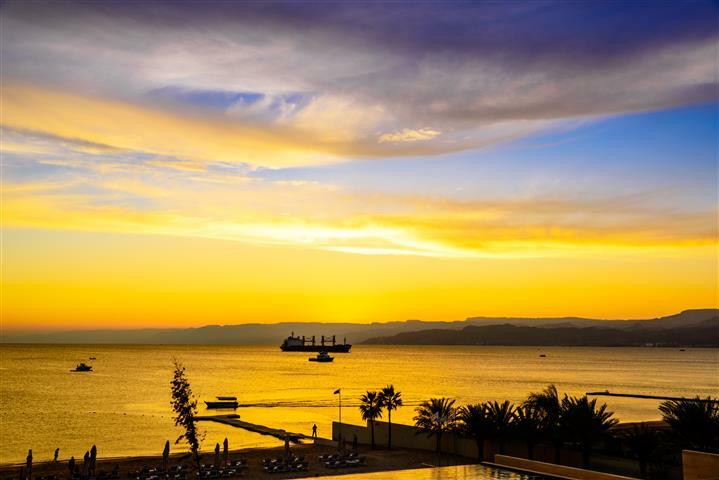 Aqaba's greatest asset is the Red Sea itself. Here you can experience some of the best snorkeling and diving in the world. The temperate climate and gentle water currents have created a perfect environment for the growth of corals and a teeming plethora of marine life. Here you can swim with friendly sea turtles and dolphins as they dart amongst the schools of multicolored fish. Night dives reveal the nocturnal sea creatures, crabs, lobsters and shrimp. There are several dive centers in Aqaba. All offer well-maintained diving equipment, professional instructors, and transport by boat to a variety of dive sites. For those who prefer to keep their feet dry, all the deep sea wonders can be viewed through a glass-bottomed boat or by submarine, or you can just relax under the sun on the resort's sandy beaches. Plus, of course, there are plenty of other water-sport activities available, as well as an extensive and interesting Marine Park. Stunning archaeological discoveries between the Jordan river and Tell al-Kharrar have identified this area as Biblical “Bethany-Beyond-the-Jordan” where John was living when he baptized Christ. St. Elijah's Hill is now the focal point of the Baptism site and is covered with remains of a Byzantine monastery with churches, large baptism pools and water storage systems. The leading attraction at the Dead Sea is the hot, soothing salty sea water which is four times saltier than normal sea water. This unusually salty, buoyant and mineral rich water has attracted visitors since ancient times, all of whom have floated effortlessly on their backs while soaking up the water's healthy minerals along with the gently defused rays of the Jordanian sun. Arrive at Queen Alia International airport, meet & assist and transfer to the hotel. Breakfast and transfer to visit the impressive Greco-Roman city of Jerash. There after we continue Northwest through beautiful pine-forest and olive groves towards the town of Ajloun. 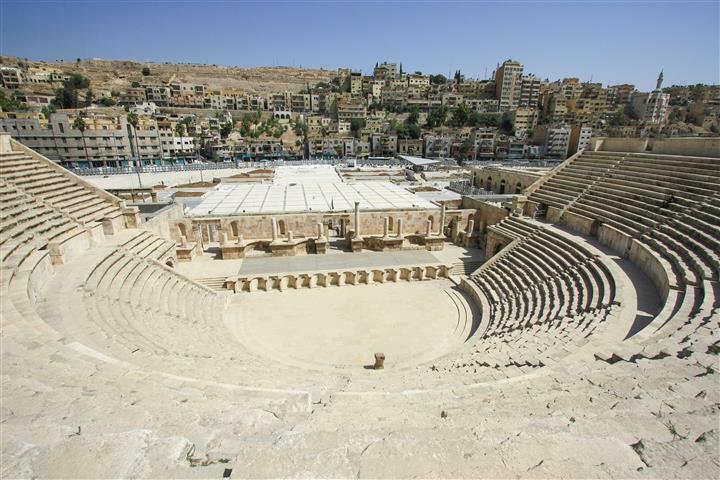 Drive back to Amman and tour the city including a visit to the Citadel, Roman Theatre and Jordan archaeological museum. 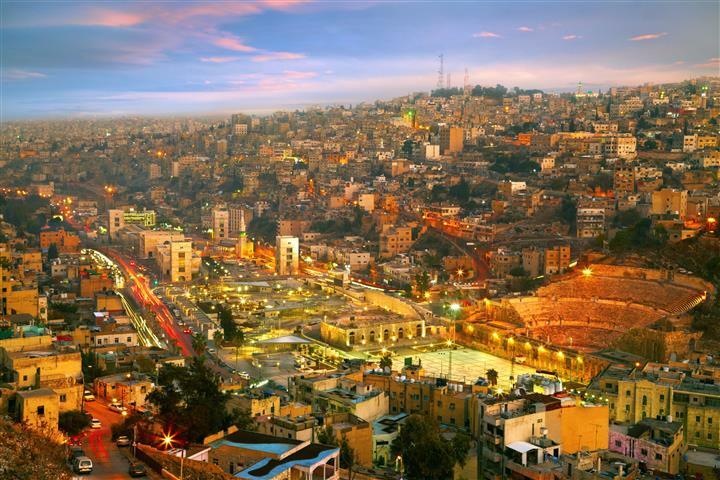 End your tour at The Souk, in downtown Jordan a typical middle eastern market where you can buy almost anything ranging from jewelry made of gold and silver, coffee pot charms, handicrafts etc. Breakfast and then we depart for a journey South of Amman to visit the Biblical city of Madaba. Next we will visit Mt Nebo where Mosses is believed to be buried. 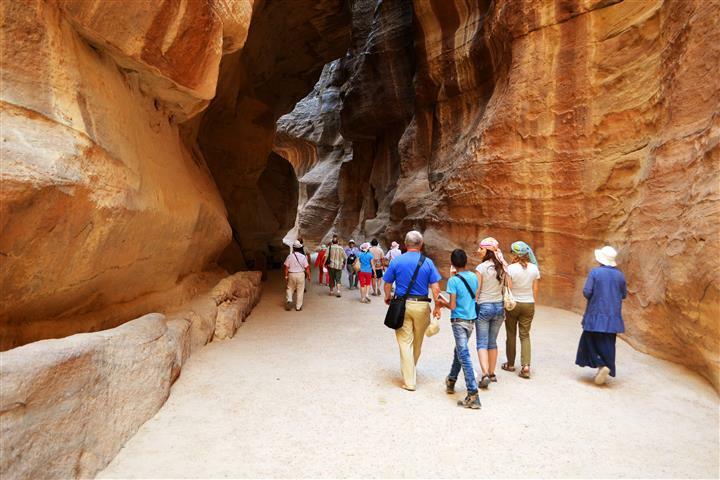 The seven kilometer walk can also be covered in the Nabatean fashion on a ” horses back”! 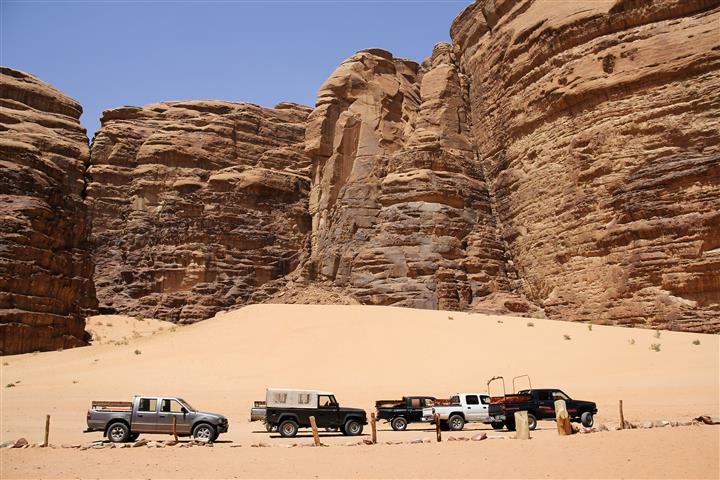 You shall take a rustic jeep safari tour in the silent, timeless and starkly beautiful desert of Wadi Rum. Breakfast and day at leisure. There is a lot you can do including diving, swimming, and snorkeling. 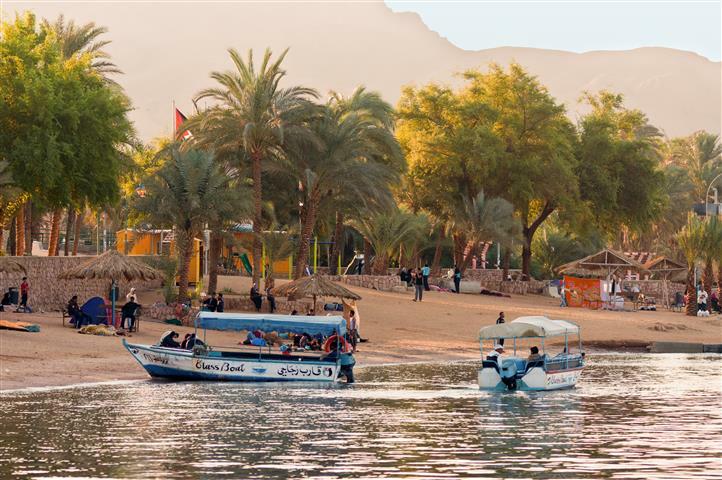 If you are not into getting wet, you can take a glass bottom boat, and still see all the amazing marine life that Aqaba has to offer. Breakfast and drive north towards Dead Sea. En route visit the site where Jesus Christ was baptized by John the Baptist. Later in the afternoon arrive at the Dead Sea Resort and day at leisure to enjoy the unique waters of the Dead Sea. Floating in the waters is said to be very therapeutic for the body. You will spend the night at the Dead Sea. Single supplement $60, and in high season $70 per night. Voucher and visa/tax/tip money in cash only (payable in U.S. dollars, Euro, Pound Sterling or Israeli Shekel.